We run a fully inclusive tennis programme at five LTA tennis clubs in North Buckinghamshire, Bedfordshire and South Northamptonshire with lessons from age 4 years upwards right through to rusty racket and performance adults. Within the programmes there are the LTA Tennis4Kids, Mini Tennis, Cardio Tennis, and Tennis Xpress courses, along with adult rusty rackets, junior and adult performance courses. Tennis lessons run 6 days a week across 14 courts (7 floodlit) with over 700 players. 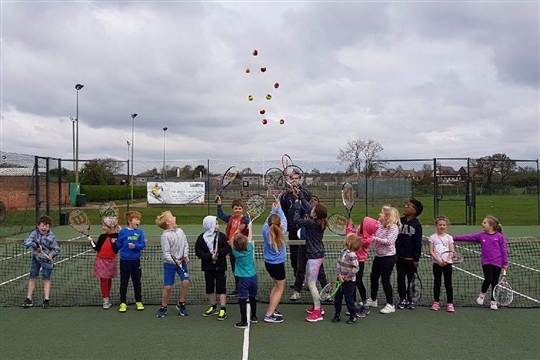 Additionally we work with over 30 local infant, primary and secondary schools in and around Milton Keynes to provide professional tennis coaching either as part of the curriculum or as an after-school activity. EASTER MULTI SPORT CAMP BOOKINGS NOW BEING TAKEN! Please feel free to contact us about further information on any aspects of our programme. Here are the Nigel Willard Tennis venues where you can play.